If you’ve been searching for an experienced and trusted optometrist in Columbia, MO who can provide high-quality eye and vision care for you and your family, you’ve found him! Dr. Andrew stone is a skilled and highly respected optometrist who leads the team at Andrew Stone Optometry. Our eye clinic team can provide you and your family with a wide range of vision and eye care services to ensure you have a lifetime of good ocular health. Eye Exams- Our eye exams offer insight into how well your eyes are functioning and whether or not they are being affected by a disease or disorder that may require treatment. We utilize retinoscopy under pupil dilation in order to thoroughly examine the inner parts of your eyes. We use a slit lamp to inspect the outermost part of your eye. Glaucoma Testing- We provide Glaucoma testing, which is performed through a comprehensive eye exam. Our optometrist can determine whether or not you have this sight-diminishing disease as early as possible so that treatment can slow the progress down. The initial test for Glaucoma is performed by measuring the internal eye pressure accurately. If your eye pressure is elevated, we will often recommend additional testing. Vision Testing- If you have an eye disease or even the smallest of irregularities in your eye shape, you may have blurry vision at certain distances. Vision testing allows us to determine how clearly you’re seeing the different distances presented in the eye chart. If you have a refractive error, the optometrist can dial in the suitable corrective lens prescription using a machine called a phoropter. Glasses- We not only provide eye exams to help you determine what the right prescription glasses are, we sell glasses right here at our clinic! We offer a wide variety of fashionable frames and styles. Contact Lenses- In addition to traditional eye exams, our optometrist can provide you with additional tests to ensure that your contact lenses fit properly and function perfectly. This is especially beneficial to those who have hard-to-fit prescriptions and conditions. Pre-operative Care- If you have a serious condition that requires eye surgery, we can make provide you with the necessary pre-operative care. 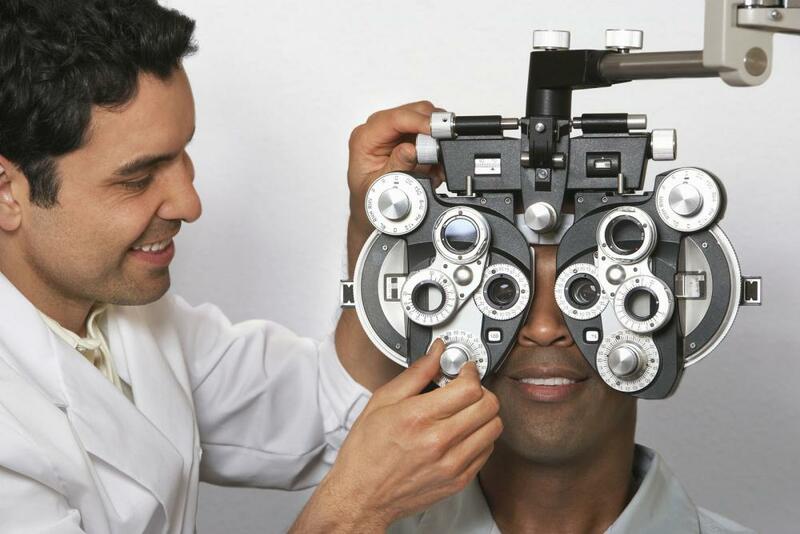 We can perform a comprehensive eye exam and refer you to an experienced and respectable eye surgeon. Post-operative Care- If you’ve had or are going to have eye surgery, you can count on the team at Andrew Stone Optometry to provide you with post-operative care. We can closely monitor your entire recovery process through a series of eye exams to ensure that you are able to get the most out of your procedure. For more information about our optometry services or to schedule an appointment please call Andrew Stone Optometry at 573-445-7750. You can trust the team at Andrew Stone Optometry with your eyes!